In an emotional interview following the Caps' Stanley Cup victory, T.J. Oshie said the win was for his father who is suffering from Alzheimer's disease. "It doesn't matter what happened before,'' Ovechkin said through his gap-toothed grin. "We just won it." Ovechkin and his teammates are Washington's first championship hockey team _ and their city's first champion in a major pro sport since the Redskins won the Super Bowl in early 1992. 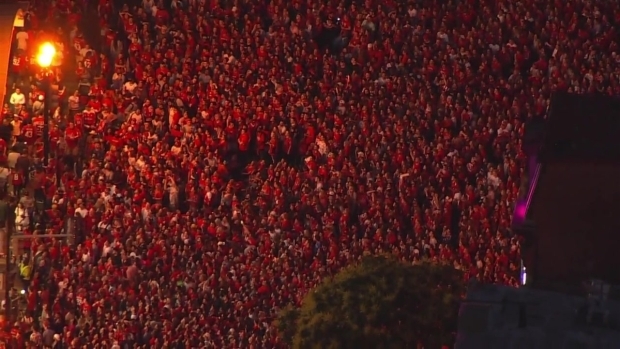 Chopper4 flew over D.C.'s Chinatown where thousands of Caps fans crowded together to watch Game 5 of the Stanley Cup Final. After Ovechkin accepted the Conn Smythe Trophy, he received the Cup from NHL Commissioner Gary Bettman. Ovechkin shouted "Yeah! Yeah! Yeah!'' before skating away and hoisting the prize over his head for a victory lap in front of thousands of red-clad fans. 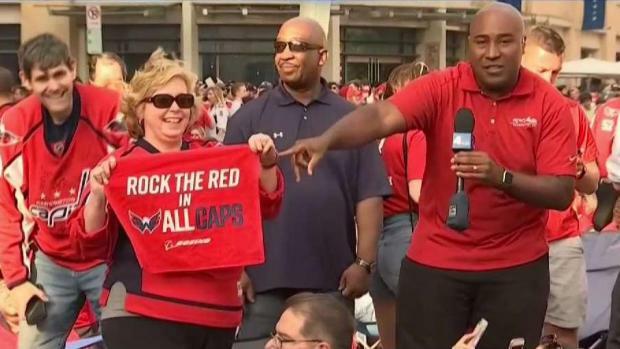 News4's Shomari Stone reports from outside Capital One Arena, where thousands of people are pumped up for the Caps. "When you get this close to the Cup, it's hard,'' Fleury said. "Doesn't happen too often. It's very disappointing." "It means everything,'' Eller said. "You couldn't write the story better. If you're going to win on the road, I couldn't imagine a better place to do it." 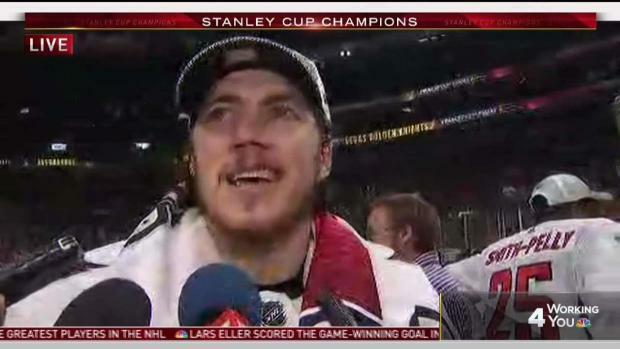 "He doesn't remember a lot of stuff, but he's going to remember this,'' Oshie said. "I've never seen a team come together like we did here. I've never seen the commitment from start to finish like we had here." 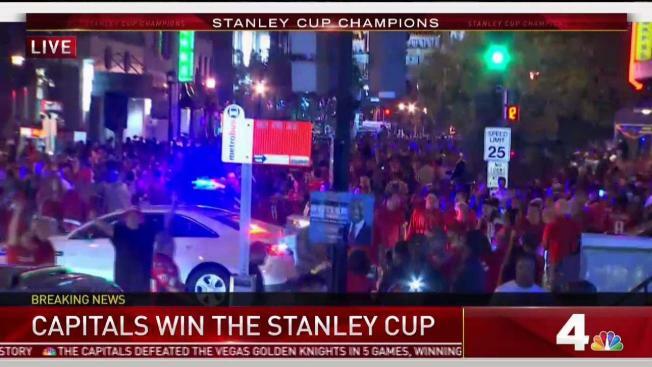 Caps fans flooded downtown D.C. and claimed a spot to watch the game hours before the puck drop. 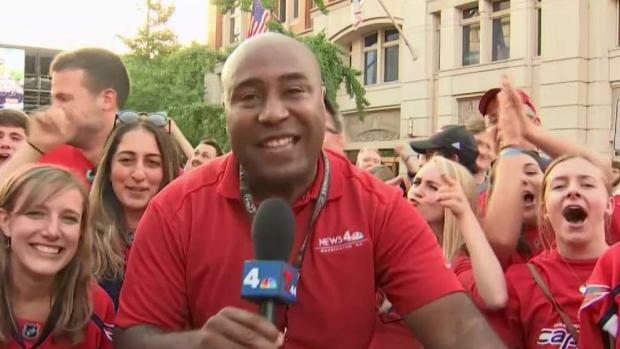 News4's Shomari Stone reports there was a nervous excitement in the air. Excitement is exploding as the Caps eye the Stanley Cup. After taking Game 4, they're only one more win away from victory. The Washington Capitals and the Vegas Golden Knights are battling for the Stanley Cup. Press "play" to watch a replay of the games and see each shot as it happened. Hover over any shot to view more information about it.